The first day of Spring has come and gone… it’s only a matter of time before the layers come off. This is the time of year when many of our clients are looking to build their lean muscle mass, say goodbye to the spare tire, and start getting ready for those days at the cottage where the sun is shining bright and the dress code requires nothing more than a swimsuit. Yes, take the squat and up the ante by turning the movement into a jump. Remember, the same principle applies, even though it’s now a plyometric: get your bum low, keep your chest high, and give it all you’ve got! This is a really fast way to get in a great, high-intensity workout that will make your fat cells scream. Set yourself a timer (we use the Tabata Pro – Tabata Timer app, from the apple store) to give you 1 minute of high-intensity sprinting, 1 minute of rest, then rinse and repeat 10 times. What do we mean by high intensity sprinting? Pretend you’re on fire and running toward a pool of water; pretend you’re a superhero, rushing to save the day—whatever gets you going. Push as hard as you can, especially through that last 10 seconds when you feel like hell. When it’s over with you’ll feel like a champ, we promise. What apps are you using to help you out at the gym or with your food journal? Share your tech tips and tricks with our clients on Facebook for your chance to win a bottle of BCAAs. Probably the most hated exercise we prescribe; this complex, all-over movement combines the explosive power of jumping, using your legs and getting your heart racing, with a jack-knife-like push-up movement that requires core strength, activates triceps, biceps, and relies on your chest, traps, and rhomboids to keep you from falling on your face. It’s really, really tough. Don’t get frustrated if you can’t bang out very many of these; keep working to do just one more with each workout and by the time summer is here, you’ll be ready to hit the beach with confidence. As usual, before you start any exercise routine or if you’re not sure if an exercise is right for you, consult your family doctor to get the go-ahead and talk to your Pursuit Training coach. There’s a reason why people who are involved in bodybuilding eat avocado, nuts, and fish. Not only are these a good source of micronutrients and some, the nuts and fish, a source of protein, but they contain healthy fats. Summer is Around the Corner, Are You Ready to Get Your Golf On? Pursuit Training is the official fitness trainer at Royal Ashburn Golf Club, in fact, our Pursuit Training Golf Fitness Guide comes with all of their Academy packages. A whole body fitness and health approach is the best way to optimize your game. Keep hydrated; eat lean proteins; avoid carbohydrates and abstain from alcohol. 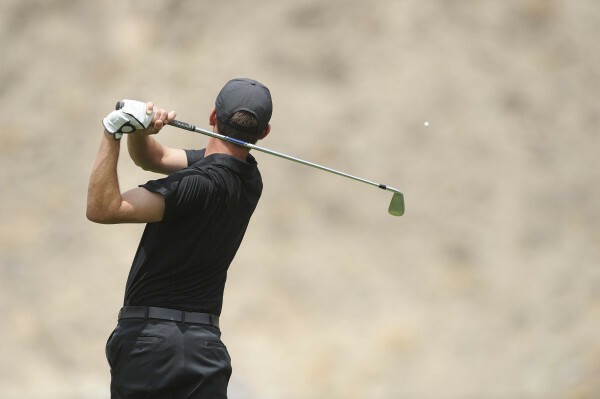 If you consistently work on your swing, exercise at the gym regularly and maintain a sensible diet, you’re sure to see your personal-best this season. Royal Ashburn Golf Club offers Get Golf Ready programs as early as April. Whether you’re an avid golfer or new to the game, Royal Ashburn has a package that is right for you. Pursuit Training can support your athletic goals, improve your short game and your drive distance by designing a custom fitness program that suits your lifestyle. We won’t just improve your golf game, we’ll improve your overall fitness—it’s kind of our thing.